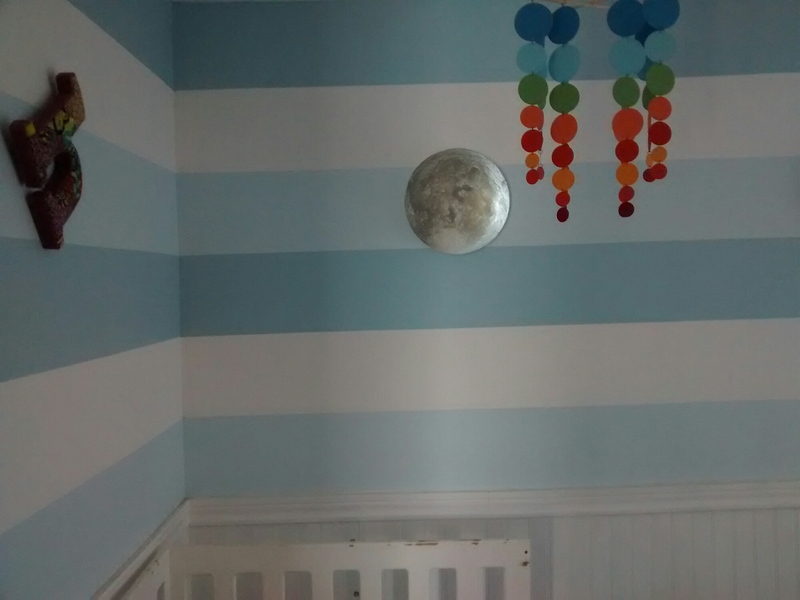 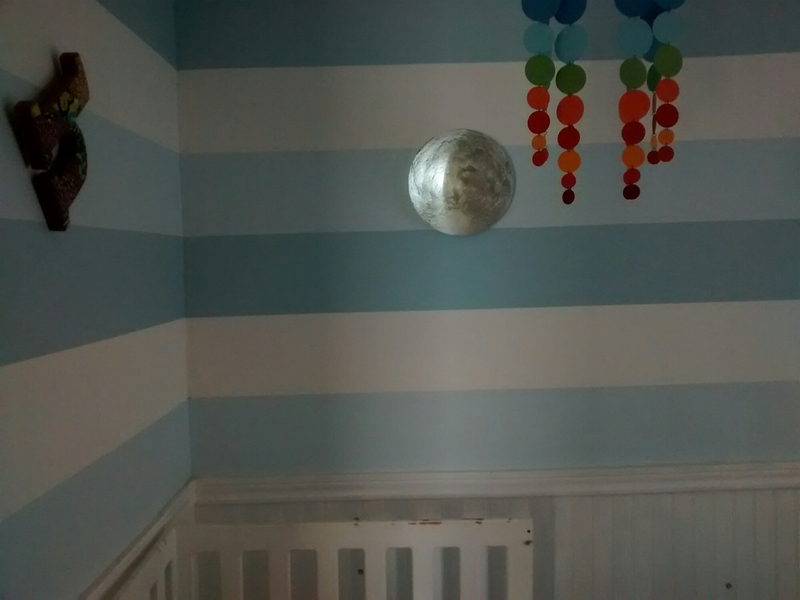 At lunch today I hung the moon in the nursery. 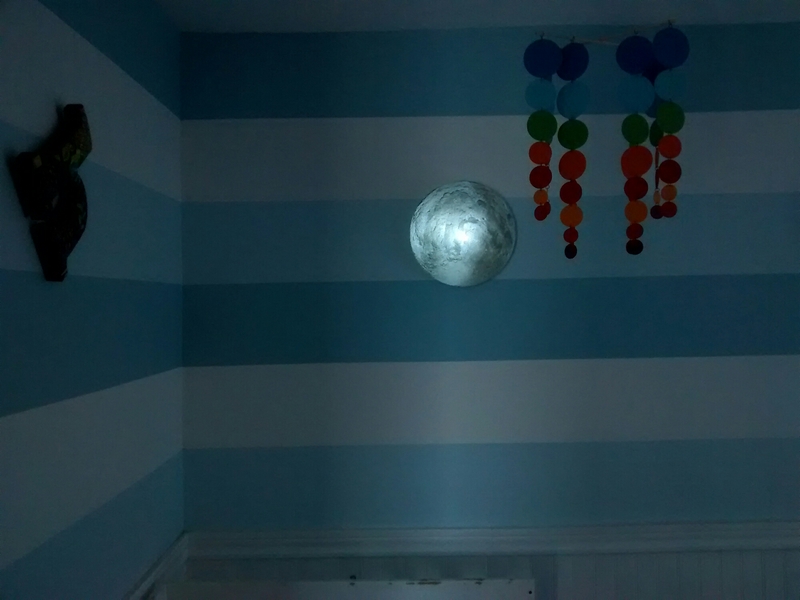 The kids have been very excited any time they see the moon, and since their old nightlight is on its last leg, this will do nicely. 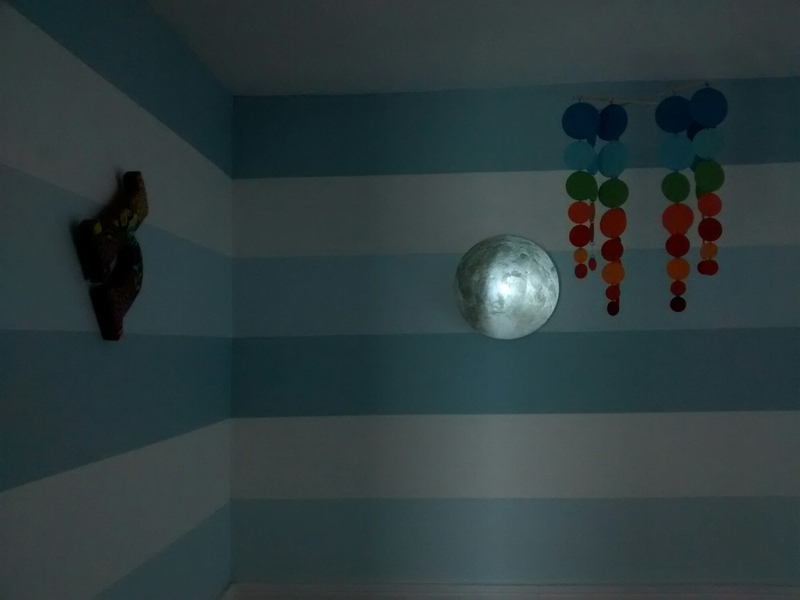 What’s neat is it can be changed to match the stage of the moon outside.